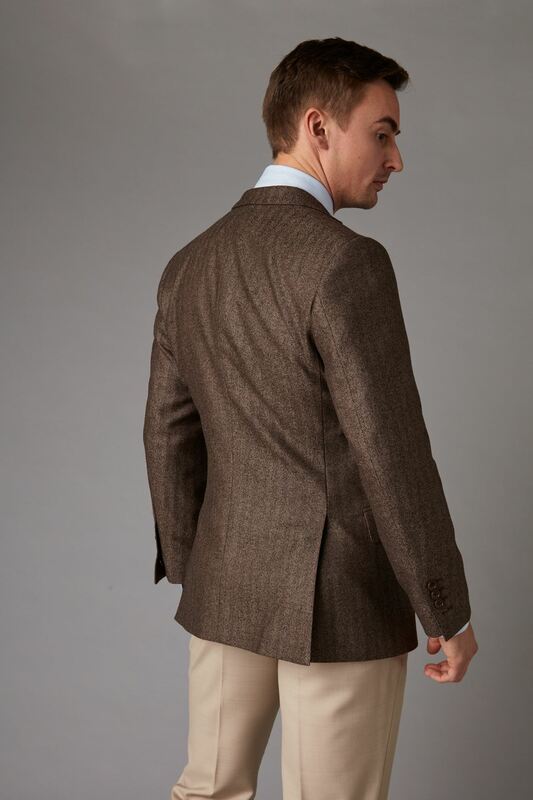 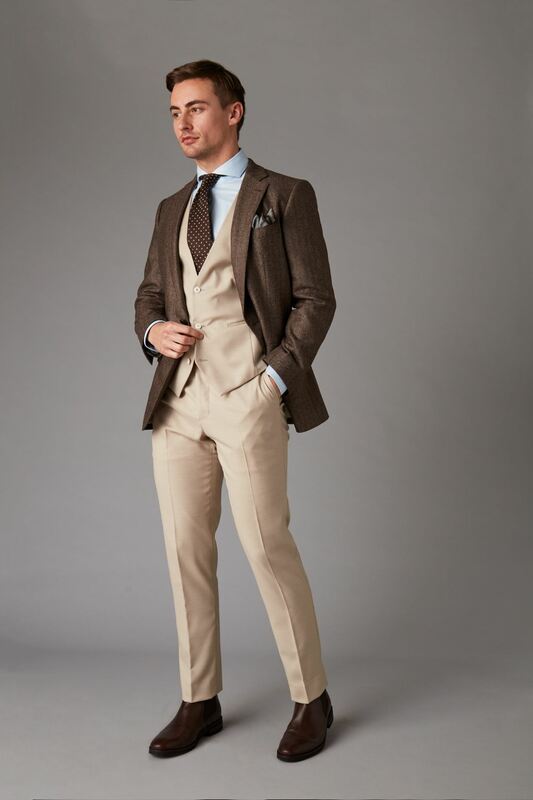 Stand out in a sea of suits in our super-sharp brown tweed effect jacket - paired with a cream waistcoat and trousers for instantly slick style. 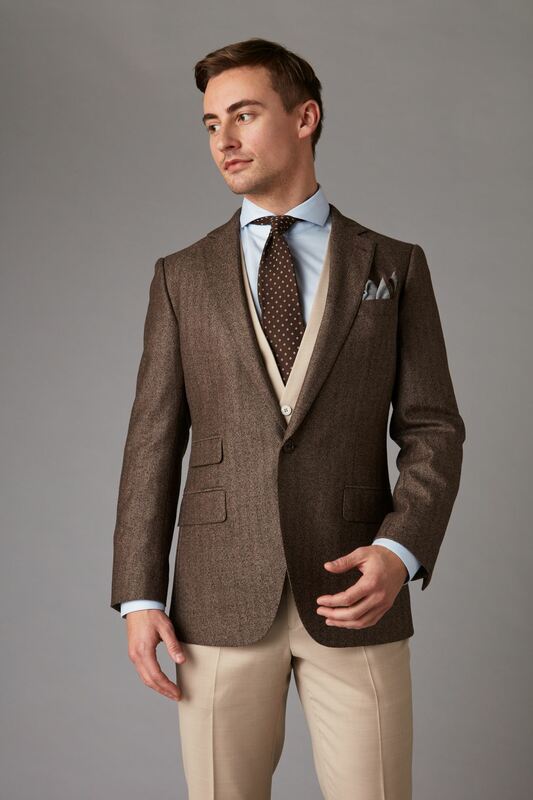 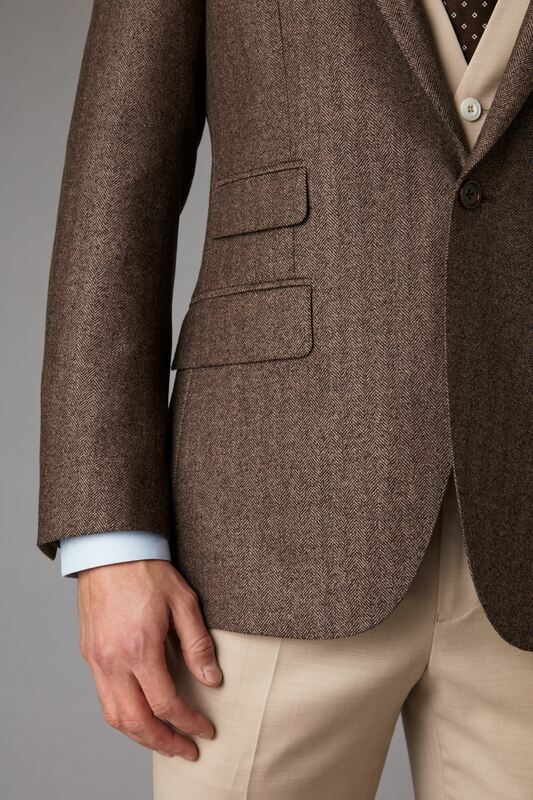 Single breasted for a streamlined silhouette, this classic number features hand-stitched notched lapels for a contemporary feel, with reinforced buttons, double-stitched lining and flap pockets. 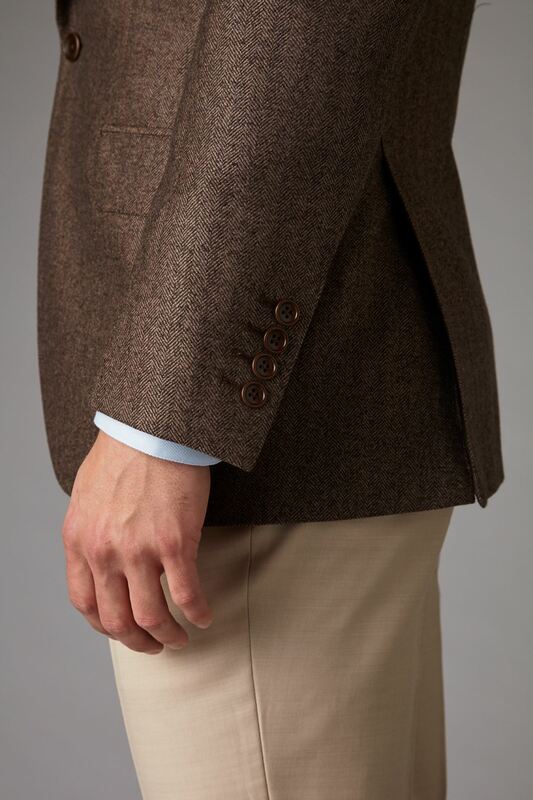 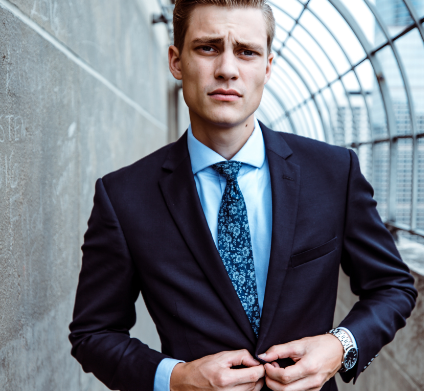 All of our suits are fit-focused, custom-made on demand with fabrics ethically sourced from Australia.